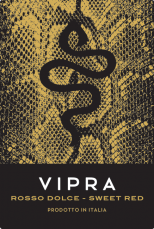 Vipra is a sweet, drinkable and accessible red wine that appeals to the millenial palate. Lightly fizzy and low alcohol content. A perfect complement to today’s cuisine. Prep: Shake all the ingredients together with ice, strain into chilled coupe glass with a 1/2 rim of sugar and zest with an orange twist. Prep: Fill the glass ¾ of the way with ice, add in each of the ingredients, then gently stir. Garnish then serve. Prep: Fill the glass to the top with ice, pour in Gin, wine and then fill to the top with Fever Tree Bitter Lemon Soda. Gentle stir and garnish.